I have been meaning to use charcoal for a fairy for a while but have only just got round to it. 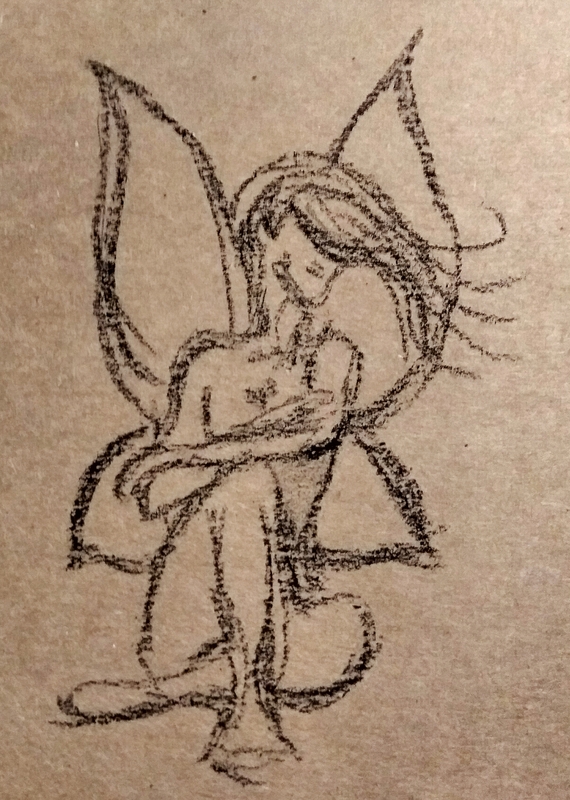 I quickly sketched the seated figure before adding her wings. I just sketched straight onto the brown paper with a chunky charcoal stick.